This is an Align Extended Hex Driver Set. These tips are machined from HSS high alloy steel to help prevent wear and distortion, and were built to withstand the abuse of long wrenching sessions. 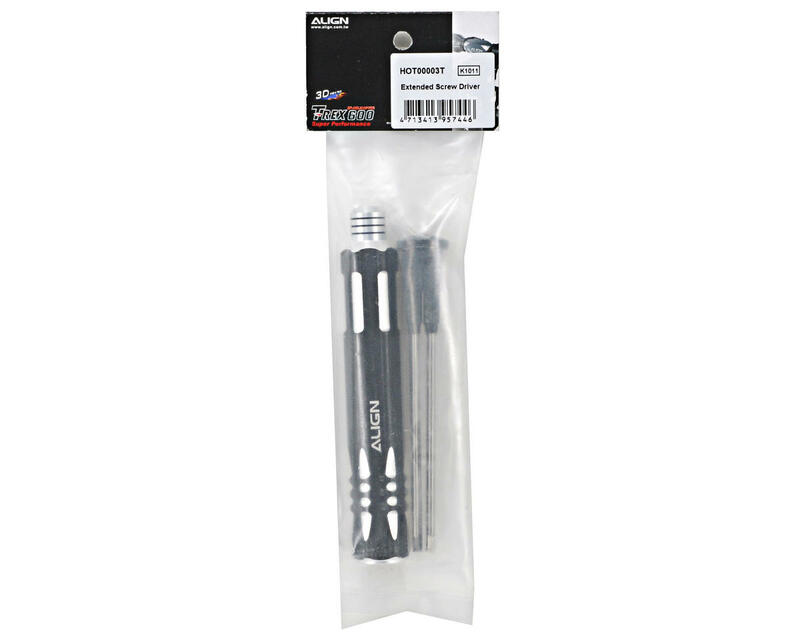 The CNC machined aluminum handle is comfortable and is large enough to store the tips securely inside. 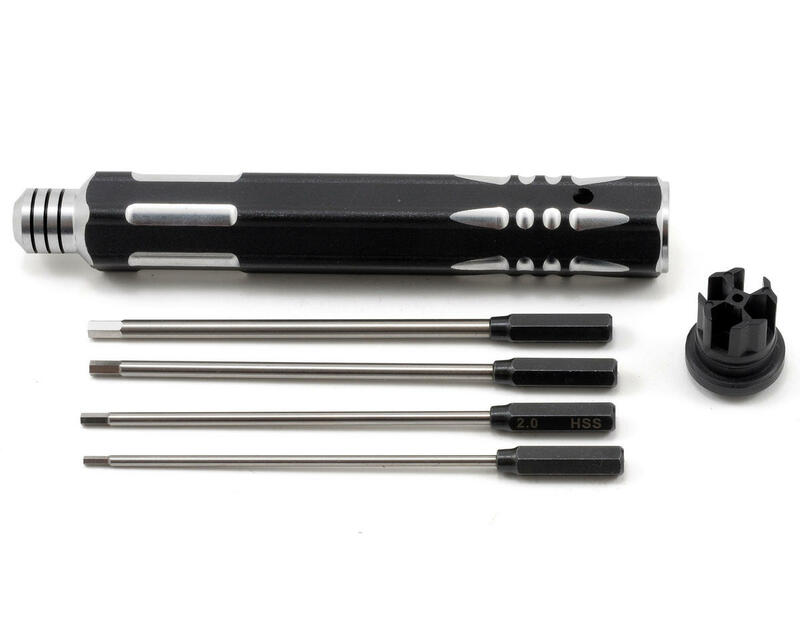 IT's a great set, Had it for about a year, doesn't wear out and works when most regular screwdrivers don't. This one has a peffect fit and true size. The only downside is that you can easily loose the tips. I believe they now added a magnet in the handle because the tips hold up really well in the handle. The tips look good but the will not stay in the handle when you are using them. Which makes them useless to quickly grab.